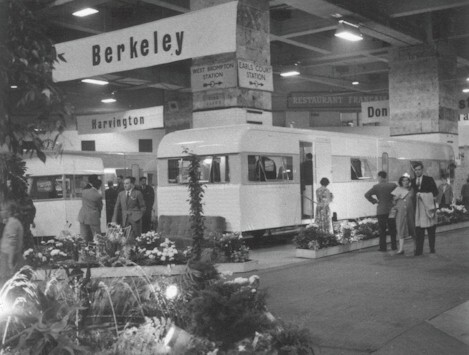 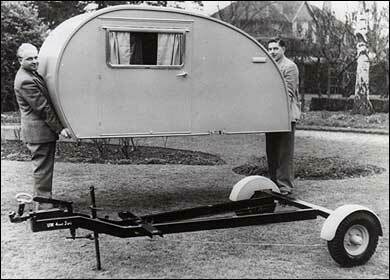 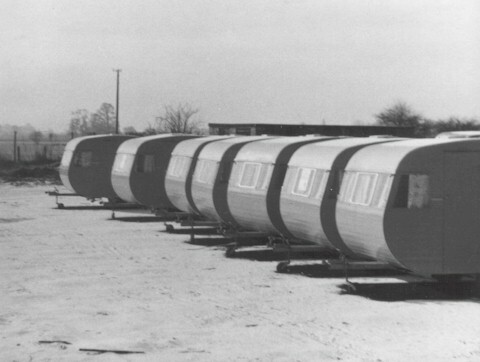 business was as a caravan producer. 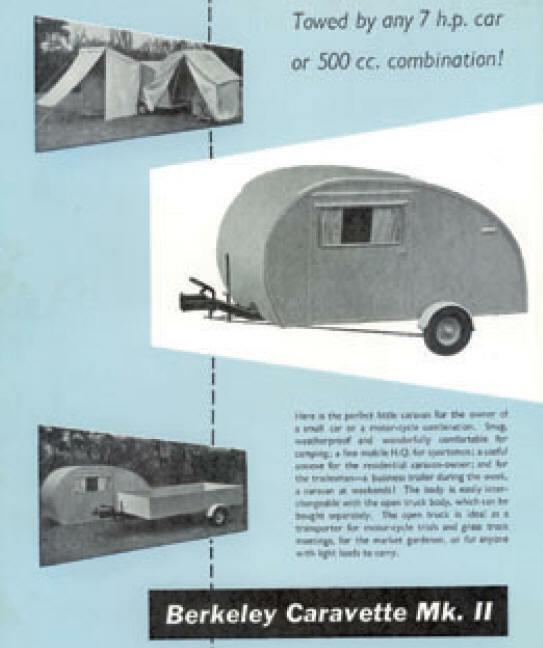 This sales leaflet shows the versatile Berkeley Caravette, designed for the owner of a small car or a motorcycle combination. 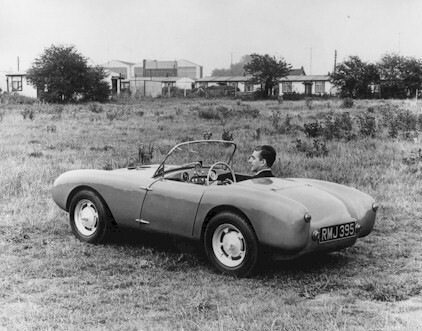 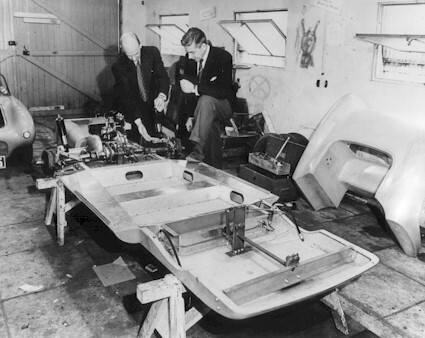 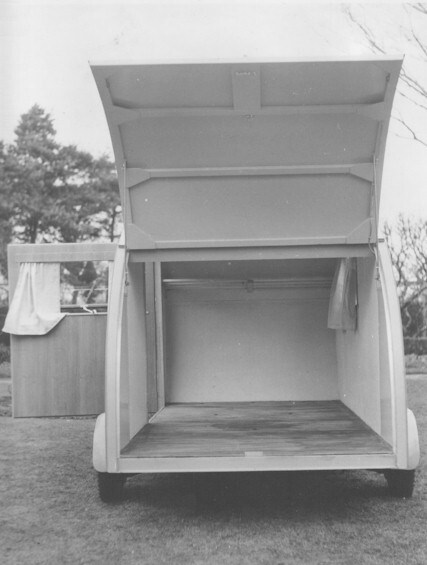 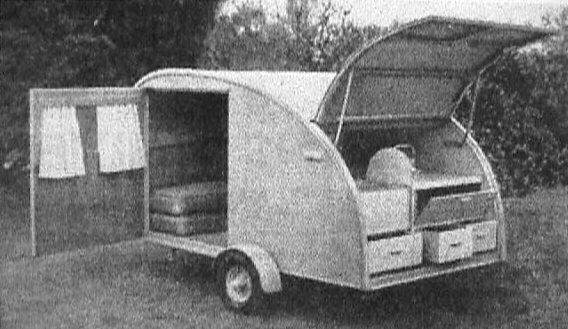 The Caravette was demountable; the chassis could be used as a trailer. 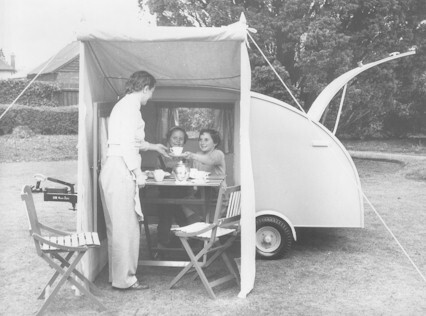 For extra space, there was a specially-designed awning tent. 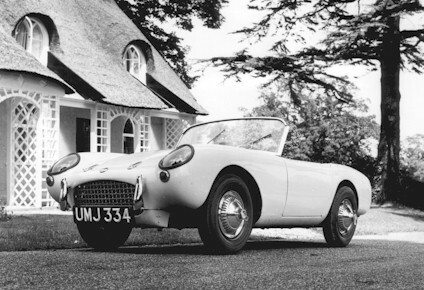 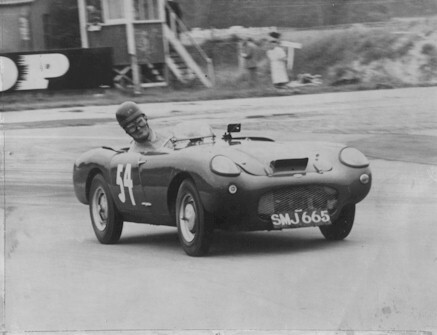 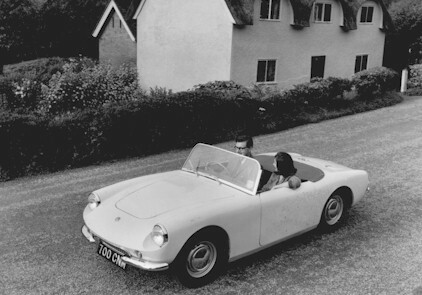 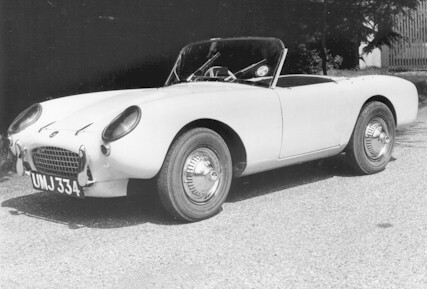 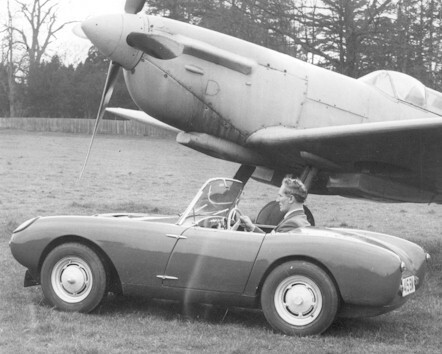 Charles Panter experimented with a pressed steel tourer, the Berkeley Europa. 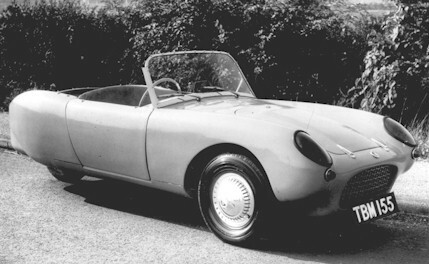 The model had its problems, however, and production costs were high. 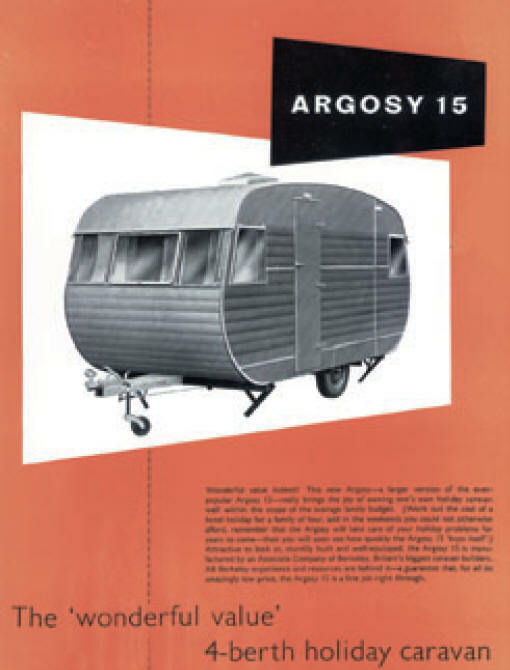 The Argosy, a low-cost model from Berkeley - a distinctive van with curvy lines. 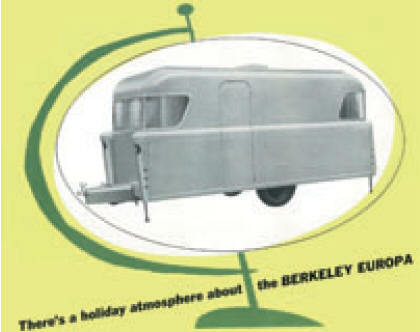 The price was kept down by using ‘off-cuts’ from the Berkeley range.